If you love wine and shop at the Co-op, odds are you’ve spent some time in the back of the store, sampling some of the local and international offerings Anne Marsh provides each week. But even if you’re familiar with this very popular department, you may not know everything about it. Enjoy this Q & A with the Co-op’s resident wine expert and stop by for a tasting! How did you get inspired to learn about wine? I was always passionate about food and wine pairing. I became a gourmet cook and I thought I would enjoy being a sommelier, so I enrolled in a wine curriculum through Wine and Spirits Education Trust (WSET). I hold a diploma in wine: WSET level II, Intermediate Certificate, Pass with Distinction. I am very proud of that accomplishment as only a small percentage of students earn that distinction. What was the original inspiration for the Wine Cellar? 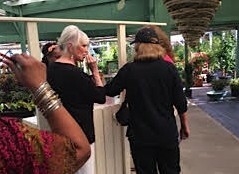 After I completed my education I went to work for a very great lady, Linda Collier, founder of Collier’s of Centreville in Centreville, Delaware. She taught me everything I know about wine from a hands-on perspective. 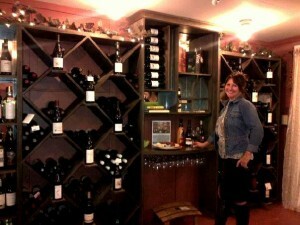 She gave me her blessing to model my wine shop after hers, with a “European Library” feel. How has the community responded to the Wine Cellar? “Thank you for what you do for us.” Those who have discovered this enjoy the experience of tasting a wine before they buy. They love that I learn their names and their tastes and can suggest wines they will surely love. Each of us has had the experience of buying a wine and finding ourselves disappointed when we get it home. It’s tragic, really. Customers also love asking for suggestions of which wine to go with what they’re serving. They want to have something that matches perfectly with a dish and compliments it. It takes the experience of a dinner party to a whole other level of great. I love what I do. What do people not realize about the Wine Cellar? We have over 300 wines in that little space! The wines are from all over the world including the wonderful wines of Washington state! That’s why we named it Wine Cellar of Yelm . . .Wines from around the World. I have a gift for finding quality wine and I handpick each and every bottle. I choose wine that is made with a lot of care, attention and love. 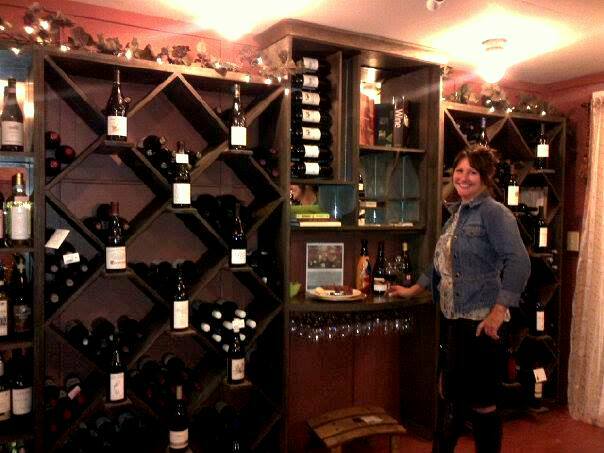 The mission of the wine shop is to specialize in small batch, family-owned and handcrafted wine. More than 50% of the wines in the shop are Organic and many are made without the addition of commercial yeast. Large lot, mass-produced wines are made with many shortcuts and use lower quality grapes. We hear so much about inferior quality food and the importance of putting good things in the body. The wines in the shop are made with a passion for excellence and many are under $15. I love what I do and finding the right wine for folks is fun. I often open wine during the week and allow folks to taste. It’s not just for Saturdays. When you see me, just ask. I’ll help you find wine and help you match to a food if you wish. 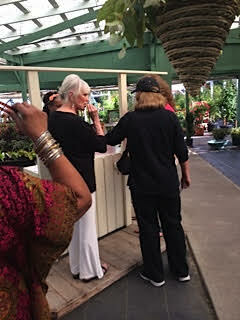 I have developed a following of customers who regularly attend the Saturday tastings. They tell me that their palate is expanding and they are enjoying all the new varieties and flavors they wouldn’t have thought to try. The Wine Cellar of Yelm is once again putting on a tasting class and you don’t want to miss this! 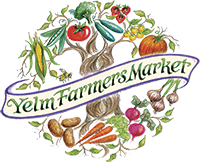 Mark your calendars for Friday, April 11 from 6:30 – 8:00 p/m. P.S. you must have Adobe Reader or Adobe Acrobat installed on your computer to view this. The very successful wine classes at the Yelm Food Co-op continue this month with the theme of “Let’s Talk Turkey”, wine pairing for Thanksgiving dinner. So here’s the announcement for this fabulous opportunity to learn about pairing wine and food from the Wine Cellar’s “Virtuose de Vin”, Anne Marsh. What wine to serve with Thanksgiving Dinner? An organic and fun Sparkling rose, Italian Erbaluce, Oregon Pinot Noir, French Burgundy, Cotes du Rhone and a Cru Gamay. These wines are affordable and fabulous. 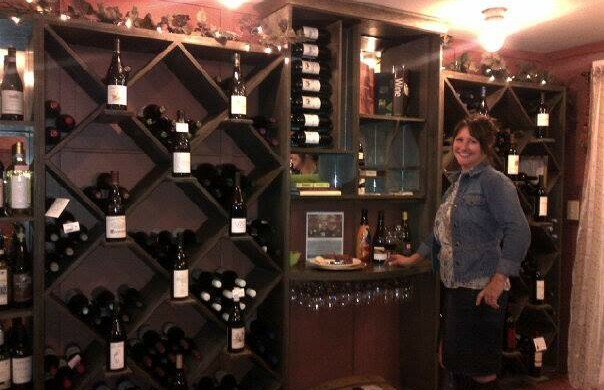 Come enjoy them in our newly remodeled wine shop! Receive 20% off featured wines and 10% off other wines in stock. Or in person at the Yelm Food Coop. 24 hour notice required for cancellation/refund. Now taking pre-release orders for a new vintage port arriving in October. These are pre-release prices. You save 25% by ordering before release. Pre-payment is appreciated. To order, e-mail Anne with your contact information and bottles desired. Can be paid by phone: 360-400-2210.
or just leave a note on my table when you visit the shop!